Question #3. Will all my apps works after the update? Theoretically, all of them should work. But some apps may actually not. So, it is a good idea to check the individual app page in the Google Play to find out whether it works on ICS or not, or whether there are some known problems. Normally, for apps under active development (e.g., updated at least once in last 6 months), the developer very likely has tweaked the app for ICS. Question #4. Where is the Premium Suite? I cannot find it after the upgrade. Premium Suite is a collection of new apps (S Note, My Story) and enhancements to S Memo and S Pen. After the ICS update, you can find a new app, S Note, among your apps. You can start to use it immediately. In some regions, the My Story app must be installed manually from Samsung Apps. You can go to Samsung Apps (an app installed by default), then search “My Story”. You can then install it. When you try to open it the fist time, you need register your mobile number (an SMS with a 4-digit pin code will be sent to your mobile for verification, so make sure the country code you select is correct). If you cannot find the app through Samsung Apps, you can also try to use Kies. Question #5. How to get My Story app? It is supposed to be included in the Premium Suite. Question #6. Are there battery issues with the ICS update? I heard some complaints on poorer battery life and performance after the update. Based on my personal experience, there are no noticeable difference in battery life after the ICS update. I actually had expected some improvements. For most users, it is sufficient for full day use, and you probably need charge it every night, just like me. Actually, you may hear complaints on battery life for almost all smartphones regardless of the OS, firmware, model and the brand. Most of the time, the only solution is a replacement. I guess this is very likely hardware defects. Of course, sometimes, some poor written apps may drain battery quite fast. But this can easily found out. On the performance, most of the time, it is just user’s “feeling” or the slowness experienced may be just related to specific apps. Anyway, I feel the battery life is as bad (but acceptable) as that before the update. Performance is as good as that before the update. No major improvements, and no degradation. Update: yes, even before the update, some users already have battery issues. Please check the post How to solve battery issues after ICS update in your Galaxy Note. Question #7. Can I easily root my Galaxy Note after the ICS update? Please note, in most regions, rooting your Galaxy Note may void your warranty. And, no rooting method is perfect. Yes, Samsung phones are always easy to root. After the ICS update, you can root it with CWM (http://forum.xda-developers.com/showthread.php?t=1647148 ) or PC Odin (a bit more difficult if you never use Odin before, so I do not give your reference). Anyway, unless you are very familiar with Android, you should not root your phone within warranty period (usually one year only) to avoid any possible issues. For most users, you don’t need root/superuser access. Question #8. Does face unlock work well on this ICS update? Yes, face unlock works very well on Galaxy Note. But please note, this is not a good option if security is your big concern. Password is still the safest unlock method, followed by pin code. Face unlock can be easily cheated by a photo as reported before. Anyway, face unlock is very cool and fun. Question #9. Why did I get the update only from Kies, not through OTA? In most regions, the update can be obtained both through OTA and Kies. But it seems in some regions some users cannot get the update from the OTA. The reason you cannot get the update through OTA is mainly caused by your local vendor/carrier. Some carriers simply do not want to enable the OTA update. Another possible reason is the update server is overloaded. I also heard (unofficially) if your connection speed is regarded as too slow, you probably will not get the OTA update popup at all. Anyway, Kies is more reliable, although sometimes is a bit slow. Familiarize yourself with Kies if you want to use Samsung phones effectively. Question #10. Will I get Jelly Bean (Android 5.0 4.1) update for my Galaxy Note? I contacted several Samsung offices with this question, and nobody could give any useful info. The common answer is it will be announced after Jelly Bean is officially available. If there is no Galaxy Note 2 or some models to upgrade Galaxy Note, we will very likely get the Jelly Bean maybe next year. The only problem is whether the 1GB RAM is sufficient or not for Android 5.0. It seems 1GB is very likely the minimum requirement for Jelly Bean. Updating Galaxy Note to Android 5.0 does make business sense. As the note was just release in Q4 last year, most users’ 2-year contract will only end by Q4 of 2013.The lifespan of ICS is not so long. However, if there are something like Galaxy Note 2, then, we will definitely NOT get the official Jelly Bean update because Samsung then wants to sell more of the new model. Just like the fate of Galaxy S. Very likely, Samsung will give you some consolations like new premium packages. Anyway, there will be at least some unofficial Jelly Beans for Galaxy Note. Do you have any other questions on Galaxy Note? Post them in comments (it won’t show up immediately, but I will receive it immediately and try to answer it ASAP). Why does the equalizer on my note 2 and tab 2 not work any more Have installed ten or so different apps, none if which work. Notes stopped after recent ota update. did you try a different music player? so when is the last update for n7000 (4.1.2) be available for download? The Jelly Bean (4.1) update for Galaxy Note N7000 was rolled out in Germany, Hong Kong and Taiwan last week. Most other regions will get this update this month and March. Do you mean the logs? Logs are shared between messaging and phone calls. The icon in the right side indicates whether it is a call or a message. The arrow in the left indicates it is incoming or outgoing. Yea that. But can you take that away? If u don’t like it. Or, you can install a new dialer. and also the pictures i took, displays only a black frame with a broken icon in the middle. any chance you know this issue? Did you try to use camera app to check? Once opening camera app, on the left bottom, you can check last photo/video. I did. Actually I was able to play the video and view the photos several times. It just got corrupted even if im saving it to the phones mem. When I checked the file. its 1KB. No chance of retrieving it anymore. I dont know what happened. did you try to reboot your phone? I am currently located in Canada, however, I got my Galaxy Note 1 in Hong Kong as a gift. Wondering is the Note able to upgrade up ICS, currently my phone has the old android version of 2.3.6. Please let me know can I upgrade through Kies? Actually I have tried to upgrade, but once I reached to the _”tFirmware upgrade progress” the screen freezes. You can download and install Kies (http://www.samsung.com/uk/support/usefulsoftware/KIES/JSP) on any of your PC. Then you check firmware update. If you already can stat updating, but the phone then freezes, you can always reboot the phone and try it again. Please the update may take a few hours (thanks to poor Kies servers). So, you should also be patient. If you rooted your phone, sometimes you have to unroot it for updating (depending on how you rooted it). I would not recommend you to flash to such pre-release firmware unless you desperately need some features. It should work on your Note if you follow the instructions. But anyway, nobody can guarantee there are no issues. Whats the average charging time of n7000? im charging at 1% took me about 2hrs to be fully charged, not in power saving. about 2.5-3 hours using the standard charger (comes together with your Note). The battery has a capacity of 2500mAH, and the charger has an output (sustained) of around 1000mA, so, it need 2.5hours theoretically. any issues if I use fast chargers? anyway, is 4.1 rolling out for n7000? It should not be a big issue, but it is better to use slower charger. This is due to the higher heat generation rate when fast charger is used. If the heat generation is excessive, the battery may be damaged. This rarely happens, but it is possible, at least theoretically. Jelly Bean 4.1 update will probably be rolled out this month. But most users will get it in Q1/2012. do you really think note wouldnt be able to handle android 5.0. due to short ram? if so, is there no solution? just for gk: does samsung upgrade note to note II for under $100? please mail me reply if possible. The hardware probably has no issues, but Samsung surely will not update to to 5.0. Very likely, the Jelly Bean 4.2 is the last update for Galaxy Note. The price difference between new Note and Note 2 currently is about $150-$250. is the 4.1 android available for note? you wrote that if note II came out note users wont get updates, well it is out now. so will note not get full android updates now? in that case is it possible to update some other, like rooting? Samsung will start to roll out Jelly Bean (4.1) update for Galaxy Note from Next month. Most users will get it in Q1/2013. If you rooted your phone, you may have to un-root before updating. The error could also caused by the Kies software. You may try to re-install it. Wen update of jellybean arrived? ?? Jelly Bean update for Galaxy note will be rolled out before the end of this year. Hi there, I want to downgrade to Gingerbread 2.3.6 by myself. When I bought the phone, it had German Version. Now I have U.S. Android 4.0.4. I have no time to go the store and I can’t wait for weeks. I need the German Android version back, though I live in the U.S. Could you please give me the detailed information on how to do it by myself? I want to know the original parameters (PDA/Phone/CSC) for German version. Please let me know how to do it. Thanks for your help. Hi there, I am a U.S. user, bought Galaxy Note (International Version GT N-7000, Unlocked) via Amazon.com about a year ago. Updated to Android 4.0.4 on Oct 12, 2012 via Kies. After the ICS update, I found Poor video quality, no copy and paste functions, poor brightness. I want to revert to the original Gingerbread. I will buy Galaxy Note 2 sooner or later. So I want to use Gingerbread on my Note. Please help. Thank you. the problems you mentioned are very uncommon for ICS 4.0.4 update. Did you try to reset your Note (factory data reset)? the only official way to downgrade is going to local Samsung service center. Of course, if you know how to flash your phone using any tools (e.g. Odin), you can find the corresponding rom to flash. Hi, Thanks for your reply. No, I haven’t tried the factory reset yet. How to back up the data, before I do the reset? Thank you. for your contacts, messages, photos, you can back up to your PC using Kies. Hi there, May I know the address of the Samsung Service Center in the New York City (Close to Grand Central Station or Times Square) or the address in the White Plains City (Westchester County). Thank you. You can report the issues you encountered to the app developers. They may have some idea on how to fix them. Hi! my note came with ICS 4.0.4 and just found that Line was my big problem. With updated line to version 3.5.x, I won’t be able to charge my note..then I removed line app. and reinstalled version 2.5.1 apk…everything went fine for me. Now, got one more problem, after I use my note to watch video or even surf the internet for only 30 mins. My note becomes hot at the back ( near the camera ), the temperature is about 48 c. Is it normal for all notes? the temperature depends on ambient temperature. you may check the battery life (e.g., what is the power consumption for one hour video playing?). the battery life is okay because I just got the new one. I don’t have any issue on battery draining ( standby time is about 2 days …never play video for one hour coz the heat). So,just want to know that my note is normal for the temp. (when browsing internet for 15 minutes ) is going up to 48 c. And get to 51 c. when charging last night. in the high end of normal range, if your room temperature is less than 25C. But it should be ok. Brightness of the display, and signal strength can also affect the temperature. Hi, I am from India. Just now I updated my Galaxy Note to ICS using the default update option available in the phone. But after the download & installation the phone is not at all getting switched-on. What should I do!? There has never been a problem in my phone till now & I was happy with it overall. My friend suggested to upgrade the OS & now the phone just come till the screen where it says “samsung” & gets stuck there forever. Kindly help!!!!! the update may take quite long time. you need wait patiently. If you still have problems to restart your phone, you can enter recovery mode (press and hold volume up + Home buttons, then press power button) to re-set your phone. Or, you can visit local Samsung Service center or a check. I think it is a known issue with Galaxy note in India. It should have happened due to the small 7-8MB stability upgrade I believe. Samsung Galaxy service center call it logo hanging issue. Now they will just reset your machine and install a fresh OS on it. Only drawback is you will loose all the data on the device. To delete an app from the home screens, or from app drawer, you can just long press it until the Remove icon appears on the bottom. Adjust the apps of different pages and delete that particular page..
For home screen, you cannot delete any of the 7 home screen pages. For app drawer, if there is no app on one page, that page will be removed automatically. Can you telkl us what exactly the message is? Update does not need registration. 1). can you start Kies on your PC normally? 2). can you check update for Kies on your PC (Help–check for updates)? 3). can your Note be recognized by Kies after the phone is connected to PC through the USB cable? Yes, you can try to update through Kies on your PC. Did you try to uninstall Kies, download the latest version, then install it? but unfortunately the POP-UP Play feature for the default video player isnt working and that there is no pop up play button in my video player, my CSC is AUT.. My friends n7000 has this feature and im the only one who doesnt have it. Any same cases bout this and any solutions?? Some regions do not get this feature. You may wait for next update. the possible cause is when the home screen is loaded, the scan of SD card has not finished yet. For your info im not using launcher, i have try to reset my phone the install 1 application and store in my sdcard, then i put the shortcut to home screen, after switch off/restart the phone the icon will be lost. It never happend before to me, just after i update my phone to ICS 4.04 throug KIES, any setting to put it back to original? as i understand,home screen is usually launched before the scanning of sd card is finished. under this situation, it is impossible to show the shortcut for apps installed on sd card. as you are using the in-stock launcher (any android phone always has a launcher), you can try to restart the launcher as mentioned before. Still the same thing happend, but after i install go launcher and everything seems to be ok, but after uninstall it, still the same thing happend. Yes, it is related to the in-stock launcher. The problem was reported long time ago when apps (2.2) can be installed on SD card. I had thought Samsung’s launcher solved this issue. It seems it didn’t. this problem was actually reported long time ago (when apps can be installed on SD card). It seems Samsung’s in-stock launcher haven’t solved this issue. I think you mean the camera app on the lock screen. This is an ICS 4.0.4 feature, but unfortunately, Samsung did not implement in Galaxy Note. If you want this feature, as well as other apps on lock screen, you can download some lock screen apps from play store. Some of them allow you add any apps on the lock screen. thanks for sharing the info. It seems I haven’t got this S3-like update. Is there any application. To send free mms on any mobile in india for android!…. (2) my inbuilt video player not working on my galaxy note when I strt video player. It automatically off….? Any solution???? https://play.google.com/store/apps/details?id=com.browan.freeppmobile.android (Most free MMS services can only be used among own members, if your contact is not a member yet, you cannot send free mms to him). I remember there are quite a few similar services. Settings–Applications–All–Video player–force stop, clear cache. Then try again. Still not working….video player & s note..
Samsung started update of jellybean on galaxy s2 and other device oz it true!! Yes den wen will I get jellybean on my galaxy note?? & sometime in my gallery and music all files are copied and shows doubled 1is d corrupt. File nothing on it so I should delete all by selecting them……it’s irritating me………. Why should it happen?? ?any solution!!! In a few countries, Jelly Bean (4.1) update was rolled out to Galaxy S3 only. Note 10.1 will soon get the update as well. Galaxy Note, and S2 will start to receive the Jelly Bean update in November/December. For the first one, it could be related to the photo editor itself. If you are using the stock photo editor, the problem can be due to insufficient memory (although this happens rarely). You may try to disable some widgets. You can also long press home button, then close recent apps. For deleted photos/images, there are no easy way to recover. On Windows, you have a recycle bin, but on Android (Linux), usually you don’t have this. So, some professional tools and service of data recovery are needed. They are very expensive, but without guarantee. I have updated my note 7000 to the updates available under SETTINGS>ABOUT PHONE>UPDATES. But, from then ownwards, my note started getting the hang up problem. And, now after 3 days. The note is hanging in every 5 seconds. saying “Unfortunately, Exchange Service has stopped”. First, check whether there are new updates. Ya, i will try the factory reset later. have many apps installed, don’t wanna loose my settings and data. Back up generally doesn’t work for me. Do you think i will get the upgrade pop up when i connect my phone to the PC? I’ll give it try later in the morning when i go back home. Anyway of reinstalling the same upgrade without having to visit service center? Factory data reset will erase your settings without changing current firmware. Just like re-install. I updated my phone to ICS(OTA) 4.0.3, then I received an 8MB(OTA) stability update. My phone was having many issues. I went to service center and they informed me that OTA is not recommended. They updated my phone with some other update(official). My phone was still have issues(Battery draining in 8 hours even without using it at all, freezing and slow response). Later when i updated to 4.0.4(via Kies) all was well. Now i got the s3/note 2 features update around 83MB. It didn’t show up in Kies when connected to PC. Having no choice, i updated OTA. Again, i think i have battery issues and shutter issues. So, my conclusion is OTA is REALLY NOT GOOD for updates. Update through OTA and Kies is almost identical. With OTA, you directly download update then apply it. In Kies, you download the update through your PC then transfer it to Note (this is called sideload)> Later the update is applied. In some regions, OTA is totally not available; in some regions it is not reliable due to internet connection to the OTA server. Anyway, you need udpate Kies first (Help–check for updates). The go to Tools–firmware upgrade and initialization. the tutorials for quick camera access and direct call don’t work. Although, direct call works practically and the quick camera work. it is only the tutorials that are blank. my phone shutters a bit after this update? any one experiencing same issues…?? Not sure as I haven’t got this update. It is a good practice (although the updater may reboot the phone several times during the update)to reboot you phone after the update is finished. It may eliminate some issues. Another way to clear some weird settings, you can try factory reset after the update. Very likely because hers has different CSC code (that means for a different region or carrier). You can check update through Kies on your PC. If Kies says the Note is using the latest firmware, then it means there are no updates for this region yet. You have to wait a while. Thanks to this website as it helped me to have a smooth upgrade path. Kudos to “Galaxy Notes” and others to patiently answer all questions. Hoeever I faced few problem in the way not mentioned in this forum but at the end everything worked out well. Model GT-7000. I had to download two packages one around 327 MB and other around 100MB. For first package , after the download was completed , installation did not start. I had to click on “Software Upgrade” few times after removing battery for a minute etc (not sure if this had any impact) when finally phone said that download is already there and started installing. For second package at about 75% installation the android showing the upgrade process with some lattice structure rotating in front of its belly, the lattice suddenly started rotating very fast and the progress of installtion slowed down. The area just under the camera got hot (as this continued for over 15 minutes) and I was thinking of a due trip to Samsung center (I guess the CPUs must be located in this area). However it fianlly got installed. I will see how battery behaves for today in case I need to resort to battery remove and recharge overnite solution. During the update, some apps have to be re-installed, and this can take time. So, you need wait patiently. Yes, a few user encountered some different problems during the update. Hi, I’m running Android 4.0 and wish to update to 4.4 but have some games like asphalt and nova 3 that i bought from Google play that are together arnd 4gb. if i update my software will i have to re-install my games and applications. Is there a way, I can save myself the trouble. I’m based in India and both 3g plans and wifi are not at their best when it comes to the per month download limits. (My phone is not rooted). You can backup your apps to Google, during the update, they will be re-installed automatically. Yes, all apps must be re-installed when you update from 4.0.3 to 4.0.4, or from 2.3.6 to ICS. When the update is a minor bug fix, it will not require re-installation. hi, my phone model is GALAXY NOTE GT-N7000, and i just update my phone to N7000DXLRI android 4.04.. i want to know is that the only version i can get? and i realized that my note more hang when i open certain app and camera capture …. any idea to soft my problem? Did you try to perform a factory data reset? (Settings–back up and reset–factory data reset). Please back up your data before resetting. i have not any firmware in my phone, so how can i update 2.1 ECLAIR TO 2.2 FROYO my samsung galaxy s vibrant SGH-T959, BASEBAND VERSION T959UVJFD…. Did you try to install Kies on your PC, then check update there? Hi, post an upgrade to 4.0.4, my Play Store is not working. Due to this, the phone hangs up and post the forceful closure, the phone works terribly slow for a while. This issue is also prominent when immediately post reboot. Please assist. Also, wanted to know how to downgrade an Android OS, for example, from ICS to GB? You may try to clear the cache for Play store; then tray again. (settings-applications–Google play store-; tap force stop, then tap clear cache). If some other apps also have issues, you cna try to perform a factory reset (settings–backup and reset–factory data reset). You need backup your data before resetting your Note. Officially, the downgrade should be done in Samsung service center. Anyway, I don’t see the necessities. Thank you for all the replies you post. Sometimes just reading through the comments helps solve a lot of issues to many Galaxy Note users. I am pleased to say that I upgraded my Note to Ice-cream 4.0.4. I am in SA and this is what I have experienced. I have seen a lot of people complaining about the battery and I was keen to see for myself. After upgrading I got all my applications back and battery was draining faster than before, so I did a factory reset to remove all applications in case they were not compatible with ice-cream. Re-installed the applications and monitored it for some days, yes the battery was draining faster than before. I then decided to read your forum again to see the replies and problems others are facing, I tried what was recommended on the forum, that is, to remove the battery for a minute, then recharged the battery overnight until it was 100% full. The battery percentage indicator is misleading, its better to disable it. The battery drain has improved a lot. Ice-cream is really better than Gingerbread ……there is smooth transition between screens, the S-Pen response is amazing, restarting the device is faster. I love the Galaxy Note and having a SUPPORT FORUM like this has made my life easier. Thank you. You have saved Samsung a lot of customers. Very glad to know this blog is helpful for Galaxy Note users. Thank you for sharing your experience with Galaxy Note. It is such sharing and contribution of Galaxy Note users that makes this blog alive. Hey ya there !FIRSTLY I WANT TO TELL : WOOW i am so happy with this website !THIS IS AWESOME !ive read all the comments in 2 hours lol.learn 2 very good tricks ! now after staying with galaxy s for years , i bought the note.this phone came from God !i didnt use it yet but im very confused if i should or not put the ics update.there is a forum some where where lots and lots of ppl complaining(http://www.gottabemobile.com/2012/06/14/samsung-galaxy-note-review-one-week-later/).of course many ppl have no idea about androids and they can face the same problems with the same old ginger bread software,; but there are to many of them complaining .as about my galaxy i used , i rooted , delete everything and put go launcher aplications and is awesome. i live in uk(sorry for my lang is not perfect) and i still dont know what to do .also i want to ask about that magnetic case protection is okay to use it?i wont use any gps on the phone or navigation.Thank you very much ! again very very good website and topic.Blessings ! Usually, the magnet in the case has no effect on your Note. The speaker in your Note actually has far stronger magnetic field. Occasionally (actually very rarely), the magnetic field may affect the sensors. Anyway, it should be safe for your Note. Thank u very much for answer! he he he i went and bought an amazing one .Blessings ! Sometimes, the problem can be cause by some apps. ICS 4.0.4 update for Galaxy Note is quite stable, base don my personal experiences. Jelly Bean (Android 4.1) for Galaxy Note will only be available in Q1 2012, although Samsung has not confirmed the updated. Hi…i have updated by n7000 via ota. Even with the 4.0.4 upgrade, im unable to find S Note app? how do i get it?? S Note is a bundled app, and Samsung does not provide the apk. First check your apps, make sure it is not there. Then, you can try a factory reset (setting–back up and reset). Please back up your data before resetting. After an auto update to 4.0.4, the usbStorage has disappeared. This is the internal USB storage with 10.84GB and I can no longer access any of the files that were stored in it. I can see the usbStorage folder when I plug the phone into my PC and browse through it as a portable device, but there are no files inside the folder anymore. The phone has been restarted and shut down many times and the only option I have in Setting-Storage is Format USB storage. It says i have 284mb in pictures and vids, 326mb in audio, 736kb in downloads, 1.12gb in misc and 480kb available. What happened to the other 9.1gb of my files? Any solutions besides formating the USB storage or doing a factory reset? I googled this problem and there are tons of others having the exact same problem after the update with no solution. Thanks. A few Galaxy S2 and Note users reported this issue. You may try to reboot your phone to see whether it is mounted properly. For such an issue, it is better to visit local Samsung Service Center and they have some tools to quickly fix such issues. If you really don’t want to visit local Samsung Service Center, and you are comfortable to play with hardware, you can try to reset your phone by rebooting your phone into recovery mode (Press and hold Volume Up + Home Button, then press down Power Button). In the recovery mode, you can choose Wipe data/factory reset. Anyway, the data will be lost. hi. following the firmware update, when i have the music player going, and i turn the phone face down, the music stops. how can i disable this function? nvm… figured it out. had to go into motion settings and turn the auto mute off. Glad to know you find the solution and share with us. It seems the battery drain bugs were fixed in ICS 4.0.4 update. i bought a galaxy note which already have ics a month ago. after 1 week using it, i noticed some area in the screen doesnt respond to s-pen (when i used s memo to draw), but it respond well with finger. i send this gnote to the center, and after get it back, i only enjoy it for a few minutes before it become unresponsive again (same like before). i already send it to the center twice, and the same happen after get it back. i asked the person there,’ what they did to my phone?’ and they told me that they only formatted my gnote. they also told me that the problem is only with the software, not with the pen and screen. do u have any idea what to do? im tired to send it to the center again, cause it takes me 2 weeks to get the phone back and the problem doesnt resolve at all. help me please!! You can demand a replacement, or refund (depending on local laws), if the problem persists. Sometimes, the screen protector may cause such an issue. If you are using screen protector, you can try to remove it and try again. Anyway, it sounds to me like a hardware issue, not a software issue. am in SA, is ICS now available, normally kies gives some code, PDA:LRI/PHONE:LRB/CSC:LR3 (XFM). I have wasted a lot of data trying to update my phone, after downloading through kies, my phone is not updated, the connection to my phone times out. So where can I find Samsung dealer that can upgrade it for me, its still under warranty. Is it a free service. Thank you. You can check with the local dealer, or from Samsung website. Some service cneter may be quite far from your place. When using Kies, you can always try to update again. If the update is from GB to ICS it can take a few hours. So, make sure your PC not to enter sleep state. Hi I am from India.I too have a galaxy note since 2 months.Recently before 2 weeks i dropped it down :(.Since then the lock button was not working and mobile’s display shakes sometimes with colors and lines and freezes.I took it to the service centre,told them about both problems and now the lock button issue is cleared but the display issue is still there.What shall i do now? it sounds like a hardware issue. You probably have to visit them again. Anyway, if you suspect it is software/setting issue (unlikely), you can do a factory reset. Please backup your data before factory reset. can it be software issue??? any possibility for that??? Very likely, it is a hardware issue. But before you go to Samsung service center, you can always try a factory reset. i think even they couldn’t predict the fault because the display is not always like that,only sometimes this issue arises hardly i have seen 2 times till now.Anyhow i did a factory reset.Now shall i wait till the problem arises again? and then take it to the service centre? Most of the time, you need show them the problem. Some engineers are quite nice (some are not) and will help as much as they can. i came up with one more issue :(.After doing factory reset my screen is automatically not turning off.I tried the screen time out timings but no use.what should i do now? you may choose a different duration, e.g, cvhange from 30sec to 1 min or from 1 min to 30 secs. If it cannot turnoff automatically, you can also try to check whether it responds to power button. If it does not respond to power button, usually it is a hardware issue. If it responds to power button, you can try to reboot your phone. Sometime the system alarmmanager may be messed up, and a reboot will solve this issue. Anyway, if the problem persists, you’d better ask for a replacement if possible. Thanks now its ok.I got one more question whenever from menu i go to any app or folder say for example i go to file manager then when i press the back button its displaying the home screen wallpaper blankly first and then its going to the menu and its the same when i press the home button directly.Is that normal??? because before it was not like that. it is weird. I have no clue what settings may cause this issue. Anyway, you may try to turn off the animations to check whether there are any differences. Settings–developer options–Window animation scale, set to off, Transition animation scale also set to off. I gave it to the service centre.They kept for observation for a day.Today when i called they said “there is no problem in your mobile you can come and collect it”.I don’t know what to do now. You can gently ask them to do some test on the screen. But if they cannot “see”the problem. It is very hard for them to figure out the possible causes. Hi I am Pradeep from India using Samsung Galaxy Note N7000 with a leather pouch which covers whole mobile having two small magnets to lock. This magnets will come in contact to front side at top left & right corner of my note that is close to front camera.There will be a magnetic effect which will come in contact to my phone by evenafter pouch having a layer of leather moulded with some iron material in between magnet & mobile. Will this magnetic effect cause any damage to my mobile ? Normally, magnet will not affect your phone. The speaker in your phone actually has far stronger magnetic field. Occasionally (actually very rarely), it may affect some sensors. For example, when you find screen rotation is not working, it may caused by your cover. But again, this is very rare. I heard there is another update on august 8 for n7000 users, update for android 4.0.3 to 4.0.4, what exactly is the changes on this update? The ICS 4.0.4 update was rolled out last month in some countries. Now more and more countries received this update. If you let me know the country and carrier (or CSC code), I can check whether the 4.0.4 update is available. Not sure, but why didn’t you just turn off the screen? regarding the dark spots, ive read many cases about this, usually its visible when youre in a dark room and the phone screen is off or displaying a “black” display. its noticeable. well not much of an issue, since it has no effect, for now. Received the 4.0.4 update this day (Philippines) im AUT csc, there are change in speed though minor, signature lock feature, cant activate the pop-up play though, as stated on some forums that this update has pop-up play feature like the s3. anything else, still the same. It fixed the battery issues that many users experienced. Hi, I am from India and my CSC code is N7000ODDLP5, could you please let me know if the update 4.0.4 is available? Last month I updated to ICS 4.0.3 from GB, and since then the battery draining faster problem started. Battery hardly goes for 5-6hrs. It’s eating away all the Note & ICS fun.. Please let me know if 4.0.4 update has addressed Battery problem caused by IS 4.0.3 Version. it seems the ICS 4.0.4 update is available for India. (DDLP5 is used for several countries). You may check the update through Kies. Yes, it seems ICS 4.0.4 update solve the battery drain issue. I’m from UAE, 3 days ago i updated my Galaxy Note to ICS 4.0.3. Since i updated, many applications not working properly (automatically closing, no sound when talking in voip), ex: MobileVoip, Skype.. etc.. These applications were working properly in Gingerbread 2.3.6. Now i want to downgrade my mobile to GB 2.3.6.. Could you please help me. You may backup your data, and perform a factory reset (settings–backup and reset–factory data reset). If any apps get problems, un-install and install again. The official way to go back (downgrade) is to visit local Samsung service center and ask the guys flash the phone for you. If your Note is out of warranty, you may flash it with ODIN or CWM. Personally, I do not recommend downgrade. Updating may bring a few new issues, but for long term (e.g., new apps), it is still worth. In addition, the ICS 4.0.4 update fixed some of these issues. I am in SA, I used kies to try and update my phone, the phone was connected as shown kies top right corner, with the usb cable connected to the phone and download in progress the usb connection was lost (as shown on the top right corner in kies) but the download continued until 590MB and the progress bar was on 70%, the download was complete but the phone could not be updated. Later kies prompted that ‘the connection timed out’. I think it was referring to the connection to the phone. What cuold be the problem. Maybe just because the connector is not so tight. You can always try the update again in Kies after connecting to the Note to your PC. Can b send succesfully 2 my galaxy note ice cream using wi fi direct. Da same case sometime happens whn i use bluetooth. My frens wit galaxy note ice cream r also facin da same problem. Guess somethg is wrong wit da ice cream update.plzzzz help.. I tried it with two Galaxy Notes, there are no issues. Did you try to use your tablet as the “host”? As the ICS update for Galaxy Tab plus has been rolled out, you may try to update your Tab Plus and then try again. I toke it to the service..they problably will install the new version themselves..and I`ll take it from there.. Okay – I called to samsung customer care and local vendors customer care – they both suggessted for me to do a factory reset – did it and it had no effect. Sorry to know this. If the phone cannot reboot after performing factory reset in recovery mode, you probably have to visit local Samsung (or vendor) service center. As the phone is still under warranty, and they (local Samsung office or the local vendor) have the obligation to repair it, or replace it (depending on local laws). As your phone can enter recovery mode, Samsung guys probably can quite easily fix it (test-flash firmware-test). After updating to ICS on Galaxy Note my phone started giving slow response. And the major issue I found is with my Email App/Widget. in Gingerbeard I was having a full screen Email Widget with 5 pages whereas in ICS it is only showing 5 entries on the screen and only 15 entries while using app. Even the search is difficult and after entering search criteria it returns back to Inbox without searching mails most of the time. By any chance can anyone help with above issues. Anyway, hopefully someone familiar with this can help you. I need help…my Samsung Galaxy Note was installing the firmware but suddenly, the battery has died and now, for almost 24 hours already, it is still on the installation process…what to do? If it hangs there for more than 24 hours, your only choice is to reboot the phone. Press down the power button and choose restart. Normally, it should start up normally or continue the update. Be patient, and you may have to wait a few mins (even up to one or two hours)for the update to finish. I’ve just installed Android 4.0.3 ICS onto my Samsung Galaxy Note with 2.3.6. The installation was done by wifi via official installer. I did not download anything specifically, just got a popup with something like “Do you want to upgrade to 4.0.3?” After answering ‘yes’, it downloaded some files over wifi, and restarted the phone. But the restart didn’t go well. I can see the initial Samsung animation, but after that the text “Samsung” keeps flashing in the center of the screen and nothing happens. I left it for a couple of hours – no changes. I tried rebooting and even remove battery – the same thing, it does not boot. I have never rooted the device or replaced the ROM. What can I do? How can I enter recovery mode or something? I tried to enter safe mode by tapping menu button while booting – didn’t work. If the screen still shows “copying media files”, it is better to wait. To enter recovery mode, you need press and hold volume up button+ Home button, then press power button during reboot, then continue to hold Volume down and home button until you see the recovery screen. This is NOT recommended unless you are very familiar with Android. I have exactly the same problem – did the same thing via official installer from settings – about phone – software update. The Samsung logo just keeps blinking..been nearly 4 hours now..with no other text on the screen..tryied to reboot via removing battery once and via recovery mode “reboot now”. showing copying media files is a good sign. It means the update continues. You’d better to wait. I am still unable to download attachments (pictures or anything) after updating to ICS. I also cannot forward emails with attachments they say in outbox. I saw postings on this in early June but none lately. I am in the US and use gmail. if you are using Gmail app, in the settings, you can check download attachments (auto-download attachments). and enable Auto-download attachments to recent messages via Wi-Fi. Sometimes, the problem is caused by the carrier. You may try to use Wi-Fi. Did you get any messages after click save or view? The attachments will be saved in Downloads directory in the internal sd storage. Thank you, I found that my problem was I was using the email app that came with the note. I switched to the gmail app and everything works perfect. Your help is outstanding. You need to find out the APN settings for your carrier.& go into your settings menu & click on More then Mobile Networks. then click on Access Point Names then on your provider & adjust all the settings there. Google APN SETTINGS for your provider & they will be available. July 26 we received update invitation from Samsunf for our Note’s. Great, and all worked well. Long press left/menu button, wallpaper-Live wallpapers–ocean weather (or Windy weather). I have searched and searched and cannot find this wallpaper anywhere. It is such a shame – my wife loved it on her Note! Sorry to know this. But if it is a stock one and was removed, very likely, it is not compatible with ICS (or less likely, due to some copyright disputes). But anyway, I have no idea on this wallpaper. will samsung galaxy note 1717 (U.S.) version work in Nigeria? Not sure. It is better to get the local version, as the radio frequency may be different. Anyway, on 2G network, there should be no issues. 4G should NOT work in your country. 3G may work if your network is using 850, 1900 or 2100.
International version has one additional frequency 900 for 3G. This seems like generic European model. Did you try to check update through Kies on your PC? Sorry but the nexus s has only 512mb of ram yet it is compatible with jellybean so 4.1 is not a minimum of 1 gig of ram. RAM is not an issue for Jelly Bean update. Galaxy Note has sufficient ram, although Samsung and local carrier may add some bloatware. As I know Samsung is working on Jelly Bean update for Galaxy S3, S2 and Galaxy Note. We will very likely get yet by the end of this year (the old info I have is in Q1 2013, now it seems the process is speeding up) although this is not officially announced. Issue with email client since update to ICS on note, with ATT. The “Starred” folder in the email client no longer appears. only combined , and the email accounts i have. On GB, the starred worked for gmail account, and flagging worked for exchange account. Not sure about this because I mainly use GMail. In Gmail app, you can still star a message and show the Starred folder. I bought my Samsung Galaxy Note 3 weeks back. Once, I switched on to my WIFI home network, I received a firmware upgrade notification (approx 30 MB) over FOTA. I downloaded it and the system installed it. I was not comfortable going directly with the ICS upgrade, so delayed the update to some time later. I have now noticed that the response of my phone is slow and it lags once in a day. I have to restart the phone to get it corrected. I wanted to know, whether not upgarding the total firmware has caused this issue or I need to look into my phone’s application memory usage. Also, please throw some light on why the alarm (My events) in S planner is not giving notifications unless I check it myself. PS : I am currently using GB on my phone and planning for a ICS upgrade, however reviewing the comments in forums, I am now giving it a double thought. Usually each update fixes some bugs…, and brings a few new issues. But overall, it is better to update. Given the life-cycle for most smartphones is 1-3 years, there is no chance to get near-perfect software stacks. The slowness can be caused by some apps, or by the God. If it seldom happens again, you can just forget it. For the S Planner, you can check the S Planner settings (open S Planner, touch menu button, select settings). Under event notification–Set alerts and notifications, you need change it to Alert. I have 3 GALAXY NOTE and I upgrade it to ICS 4.0.3 but I face a lot of problems with it ‘freeze and most of the time the application force close & when I plug it in the car dock also freeze in the drive mode & the Bluetooth is not stable’. Please tell me what is the problem is it normal? Is there another ICS update to fix this? Is this happened to other customers or only me? And is there any solution for that. If factory reset (settings–Back up and reset–Factory data reset) cannot solve the problem, you can go to Samsung service center and ask for repair or replacement. Please note factory reset will wipe all your data and settings. So, backup your data before trying. Thanks for the info, but it seems this is not accurate. No, factory data reset will NEVER trigger the eMMC bug. It will only be triggered a). when you try to flash a custom ROM, or b). when you use “wipe data/factory reset” in CWM. The latter is totally different from the settings–backup and reset–Factory data reset. Anyway, if you do not try to flash custom ROM or to use CWM’s wipe data, there should be no bricking issues at all. The above was published recently. With a little luck, we will have JB update to Galaxy Note. Hi Thanks for giving such great guidance & knowledge. Today when I checked software update in my phone by turning on wifi it showed me a new update android 4.0.4 is available & I tried to update but at middle of update due to some reason I got canceled while downloading the update but again when I checked it showed no update . !!!!! so I checked via kies it show me new update available . 1. why it is not available in phone eventhough having a high speen wifi connection ? 2.Which kind of Software update is best kies or OTA or manual & what difference will this make? what is baseband ? 3. What is flash count, how & why they get count increased , is there any way to reset flash count ? 4. Should we have to recalibrate the battery if we update software when the charge is not full may be 80% or 20%. If so how to recalibrate battery. 6. I feel my camera is not as much as clarity like my friends galaxy note.I tried reseting camera settings. we both are using default camera apps, my phone is missing the sharpness in camera pictures. Is there any way to increase camera clarity by changing settings. 7.My spen button colour is different from my friends note? 8. The most important is I heared that few make/assembly handset,battery of samsung galaxy note n7000 have defects is it true if so how to identify pls guide me. I know I had launched many questions at a single post but I own note from december 2011 but I feel you are & this is the best form to clarify my doubts. This will help many friends using SGN. 1. it is probably due to caching. Anyway, Kies is more reliable. 2. Kies is more reliable. Updating through Kies is called side loading, i.e., the update is first downloaded into your PC, then transfer (upload) to your phone. OTA is that you get the update directly. OTA is supposed to be safer and has less trouble. But in the reality, if your connection to OTA server is not good, you may have more troubles. Normally for large update, you use Kies; for minor update, OTA is sufficient. Eventually, the update will be identical. 3. When you flash your phone with unofficial ROMs, some Android systems, e.g., Samsung’s galaxy series, will mark it. Usually, there are no way to reset it as the counter can only increase (through proprietary implementations). Of course, Samsung service center has ways to reset it. If you are using stock/official ROM, you should not worry about it. 4. No. Seldom you need re-calibrate the battery. Li ion battery does not have memory, and you just need fully charge your battery at least once in a month, and drain your battery up to 5% at least once each month. 5. Some background processes are using CPU. 6. Did you choose correct shooting mode and scene mode? Also, you need clean the lens cover if it gets dirty (with LCD cleaner spray). 7. Not sure. Usually if the Pen is dark (e.g., black), the button is light (e.g. grey). Anyway, it should not be an issue as long as it works. 8. No, I don’t know this. Although Samsung’s manufacturing quality is not so good, but there should be no such issues. A recall will have been announced if there had been such issues. Thanks a lot for giving these valuable informations dude. As per Samsung recent declaration about which phones or tablets will receive JB, they left the door open for a s3 and gnote update. They said they will inform later but indicated that s3 and gnote are their most successful phones. It looks that only s2 will not receive JB due to harware restrictions. This is very funny. Only 10% of phones had been updated to ICS. Why bother with ICS? My new question to Samsung is when my galaxy note will be updated to Android 4.1 Jelly Bean?.Still no answer from Samsung. 67% of android phones are still usin GB 2.3.6 like my phone. This is laughable. Sometimes, the manufactures are not willing to spend resources on such updates, because they always want to sell more new models. They want you to change your phone every year. This is one of the reasons why Google wants to keep the Nexus alive. (unfortunately and funny, it is now banned in us thanks for the fruity company’s lawyers). Another reason of low adoption rate is some users never updates the phone. 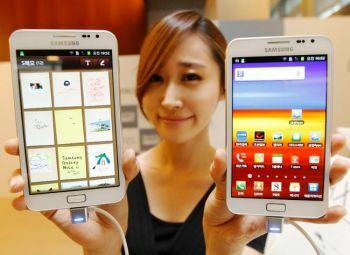 It is true but the Galaxy Note GT-N7000 was introduced in Australia in April 2012. I bought my note on April 30,2012 only more than 2 months ago. Well I will not bother anymore with this situation. The best solution from Samsung is to update directly from GB 2.3.6 to Jelly Bean 4.1. It looks that JB will be included in galaxy 3 and galaxy note. JB for Galaxy Note has not been confirmed yet. The S3 and the rumored Galaxy Note 2 will surely get the the JB. Sorry my baseband is GT-N7000XXLA4, and Gizmodo Australia reported that Samsung Australia promised the update by June. So far I have no news about it. I bought my Galaxy Note GT-N7000 international which has already been updated in different countries but Australia. My baseband is GT-N7000XXL4. The other Galaxy Note GT-N7000B is only for Vodafone customers. That is why I am surprise Samsung Australia has not informed customer when they will update GT-N7000 international unlocked version in Australia. I bought my phone in Sydney Allphones store. Thank you for the correction. Yes, the N7000B is for Vodafone only. Yes, ICS update for the Note is available for most regions now. Maybe you have to wait a while. As the ICS update for Galaxy Note in US is almost confirmed by August. I guess Australia probably can get the update a bit earlier. Does anybody know if Samsung will release ICS for an unlocked Galaxy Note GT-N700 in Australia?..this is unbelievable! !..we are already in July and there are no news about it. Last time, I heard it would be in the second half of 2012 for N7000B. It seems Australians get slight different Galaxy Note from the international version. Hi i have a samsung galaxy s3. Recently, I edited one of the picture templates in the S Memo and accidentally saved it. Is there any way for me to get back the default image? Hope you all could help me out here. Thanks. erm how do i go about backing it up? I think it’s not possible? This is only applicable if you backed up your S memos (maybe with others) to your PC through Kies before. Hello, I live in Nigeria and I use the Galaxy Note GT-N7000. I have the Kies installed on my Laptop. I don’t see any Premium suite update and I’m beginning to wonder if the update will ever come to Nigeria. would be glad if I can get reassuring information. It seems Samsung promised the ICS update for all Galaxy Notes. Unless your carrier or vendor oppose the ICS update, you should receive the update. Just a matter of time. Thanks for the article. Since the update, S Memo appears to have lost an important feature. The ability to re-edit imported images. For example, if I take a screenshot of a webpage and import into an S Memo, it no longer allows me to see the URL. Is it hidden somewhere, or just plain gone? Thank you in advance. I don’t have this issue, If your screenshot was taken with address bar, the address bar should be saved in the image. When you import this image to S Memo, there is no way to hide the address bar (because it is treated as other normal pictures). Did I misunderstand your problem? Waiting for ICS for AUT notes is getting really tiring. It seems ICS update for Switzerland is still not available. Wait a few more days. It seems Switzerland is not among the list of countries received the ICS update yesterday. Anyway, please do not change your CSC as it voids your warranty and your Kies may not recognize the “new” phone. Just wait another one or two days. ICS update for Galaxy note AUT version had been finally rolled out. Detected it via kies here the philippines. I up dated yesterday to ICS via wifi. Since then, lots of apps crashes, the native email doesn’t work and the device is really sluggish. How I come back to GB? 1. reboot your phone. It would be better if you can shutdown your Note, remove the battery, hold it a few seconds, put it back, and then start your phone. It seems during/after the update, the updater tries to start all apps for no reasons. Reboot your phone will make it more responsive. 2. If 1. does not work and your phone is still sluggish, you can do a factory reset. This will wipe all your data and apps. SO, backup first. You can do this through Settings-Back up and reset–Factory data reset. 3. If your phone still does not work well aft0er factory reset, you may try to flash the firmware. You should start Kies on your PC and connect your Note to the PC through an USB cable. In the Kies, you go to Tools–Emergency firmware recovery. Follow the instructions to flush the firmware. If it still does not work, ask your vendor or Samsung service center to check and repair. Personally, I do not recommend you to go back to GB. ICS works well on most Notes. I’m from Belgium and did also the upgrade to Ics. First the Battery drain. (Within the night sleep) almost 80% drop, very strange no wify nothin but os almost 80 busy. I follow the tips above mention perhaps is this already solved but secondly and for me inportant is the fact that with the priviews version you had the Widget buddys this is now I think contact but by heading on the phone you cannot dial the standard number on the phoen. Is this a know issues ?, if no is it possible to check this out and see what can be done on this mater. For the battery drain, you need find the cause(s) of battery drain. For the second question, do you mean Buddies Now or some other apps? Yes sorry indeed I Mean buddies. Before you could add buddies on a home screen and make a call fast and easy. Also you could set the default number (if the contact person had more than one) and so you could dial direct this number. Now you have to make the choise every time nevertheless the standard phone is indicated. About the battery drain this problem seems to be solved, just remove the battery, wait 1 minute and restart the phone. So this problem is solved but the buddies no? Please advise. yes, it seems you have to press the number. Even for voice talk, it also asks you to select a number. instead of picking the default number. Not sure whether there are any settings related to this, as I personally seldom use this feature. Actualy this a very useful not one of the most usefull futures (exadurading) espacialy whe you drive the car and you would like to make a call to one of your buddies!! Also one question: the answers here are coming from whom ? Just a user or from Samsung or ??? Maybe I can try to dig it further if I can find some time next week. This site has nothing to do with Samsung, and is under control of 2 Galaxy Note users. Sometimes, it is difficult for us to find time to try all things and therefore, we updated the blog to a mini community so that more users can stand out and help each other. Thank You very much voor your time and hoppely you can come with an answer. Samsung and your local carrier may bundle a lot of apps. You may disable some of them if you do not need them. Also, you need check the “actual” available RAM in Settings–Applications–Running. On the bottom, it will report how much is used, how much is free. Normally, you should have 200-300MB free RAM. This is sufficient for most apps. Stopping or disabling some apps should give you more free ram. Please most tack managers report less free RAM because most of them count the cached ram inaccurately. Do you really feel the slowness of the phone? The RAM should be sufficient for most users and most apps. 1.) When will the ICS update be available for Galaxy Note (AUT) version. I am not detecting any ICS update on either phone or Kies. 2.) If i will change my CSC (which is AUT) to other country that had already been rolled out with ICS update, will i get update through the phone or kies? Are there any negative results if I change my CSC? it is better to wait. Most European regions already except France, Switzerland, Greece and Italy. Just wait a few more days. Changing your CSC may wipe all your data and void warranty. is there any option to do that ? 1. Go to Settings–Accounts and syn. Remove all accounts there. 4. If you have external SD card inserted, , you can choose Erase SD card under Settings–Storage. Or, you can simply take SD card out. Anyway, please backup your data first. You don’t know you will need them until you need them. it would be great if you can start a thread about great apps and useful tips of note etc etc so we can use our note to the fullest. thank you for your suggestions. Yes, we will add more contents to this blog so that it can benefit all Galaxy Note users. At the same time, we will add forums and some other cool features to this blog so that some users can start a topic on Galaxy Note, in addition to commenting on posts. Hey… My note is stuck at the Samsung logo screen at the start up. I updated to ICS about a few weeks back. Today, the phone downloaded and updated the firmware automatically. The update was installed and then the phone rebooted but has not moved beyond the Samsung logo screen. I tried turning off the phone and back on. Doesn’t help. The safe solution is to visit Samsung service center, or local vendor’s office. Please note, reset your phone will wipe all your data!!! 1. Press and hold Volume Up + Home Button + Power Button for 10 seconds, check if your phone can go to recovery mode. If not, shutdown your phone fully. Then try again by pressing and holding Volume Up + Home Button, then press power button. You should hold the Vol up and Home button until the phone go to recovery mode. If your phone still cannot go to recovery mode, your only choice is to visit Samsung service center. 3. Follow the instructions and reboot your phone. Probably now you can get your phone up. Hopefully this can solve your problem. Please note, all your data will be wiped!!! Anyway, if your Note is still under warranty, you’d better visit the service center to fix it. Partial answer to my own Q: No you DO NOT get official updates when on “wrong” ROM. Found new official ICS ROM for my region which I will apply just like I did with the first one (first ICS ROM leaked was asian I think). Then I hope both firmware and everything else is back on official track? Can anyone confirm? Flash back to the correct ROM is the solution. Not sure whether this one works or not!!! In Kies (on your PC), go to Tools–Emergency firmware recovery. Backup all your data and apps before you try such things. Anyway, you can wait until a major update is rolled up for your region. Hey i’m from India and got the update notification about a month back. Tried installing through phone but after download it restarts the phone and then says “Failed to update”. Maybe the connection to Kies server is not good. Try at different time, e.g., middle night. the ICS update has been out for a couple of months and the update for my unit is not yet showing whenever I plug my phone into my desktop. I just keep seeing an update for the kies itself. after i updated the kies I still couldnt find any updates for the note itself. is there something wrong with my unit? It depends on your CSC code (the region of the phone). Roughly more than 60% Galaxy Note users (excluding US) have been offered the ICS update. Unfortunately, you are the 40%. Sometimes, such delay can be caused by local carriers. I just updated my GT n7000 to ics 4.0.3 last week and ever since the phone is behaving very sluggishly… it takes around 5seconds for both the contacts and phone log to open. i did as you had suggested and force closed all unessential apps. still the prob persists.plus the camera is taking ages….. which is extremely annoying and i’m worried coz there is a ghost image (a flicker of the just clicked image) before it returns to the present screen…. no screen burn outs or anything,my phone is less than a month old… so is the image persistence thing an issue someone else is having too??? Did you try factory reset? (please backup your data and apps first). Also, you can disable power saving, which will make your phone respond a bit faster. Hey, the only thing is that, my touchWIZ seems to be laggy after the ICS update. when i pinch the homescreen to show all the different miniature homescreens on a single page, then it seems that it is not fluid. Maybe you can try to reboot your note to see whether there are any improvements. I am having the exact same issue. And after much diagnostic work it is definitely the car dock causing the problem and it is repeatable every time. If plugged in to the car dock trying to use the phone causes an error and kills any bluetooth connections. I missing the ‘s note, would you how I could get it? do you mean you lost your phone? you may track it at SamsungDive page. if you previously registered your Samsung Account on the phone. Does the FM Radio app stay if I update my Note to ICS via Kies? I had a Galaxy S, and when I modded that to ICS I lost the FM radio. As I use that a lot, I’m not going to upgrade my Note if I’m going to lose it. I’m in the UK if that makes a difference? For German and Singapore models, the FM radio is still there and functional. I think UK model should be the same. For galaxy s, samsung never give official firmware for ICS. I am in Zimbabwe and we do not suppport carriers here, so i just want to find out if updating a note to ICS will be possible over wiFi in my country or will i need to go to Southh Africa to do that, if I do go to south Africa should i use the so called OTA or Kies update? You can use Kies on your computer to check and install update. Install Kies on your PC, start it, then connect your Note to your PC. Only your PC need internet connection. BTW, the update is based on your base firmware (different distributor has different CSC code), not based on your location. Yesterday I recvd. a pop message informing me that the firmware upgrade was available for Galaxy Note ( in Bahrain) , today morning I find that update shows no update available. what has happened.? I just updated my Note to ICS today. I have exactly the same problem as Anand, the phone app crashes, and the screen blanks, when if the phone is used in the Samsung dock. This seems t be a problem with using it Landscape, which I do because I use the navigation maps. Do I have to go back to GB? If posible, check with your local Samsung service center and ask them to solve the issue. You may also try to reset your phone. Please backup all your data first. You can do a factory reset through Settings-back up and reset-Factory data reset. Always backup your data, as the reset will wipe all your personal settings. Also noted, this will reset your Note to ICS, not GB. Tried a reset as requested. Painful getting all the apps back, and setting up apns and so on (Kies backup did not save any of these). Still, got everything back. I still have the original problem of the phone crashing if a call is made in landscape mode. sorry for the confusion and the problem. apps can be backed up to Google and you can restore automatically,if the app is from the play store. I remember this is on by default. the settings can be acessed just above the factory reset. Can’t be helped, already reset. Restored apps manually. Phone worse than before, the crashing that occurred in landscape is now also happening in portrait!! Can’t make called without phone app crashing! Will try to go back to GB. maybe, you can ask for a replacement from the vendor or local Samsung service center, if the issue can be easily re-produced. I took it back to the supplier. They reflashed with ICS, still crashing. Then reflashed with GB. Working fine now. did you ask for an exchange? Although the exchanged item is very likely a refurbished one, it is still better to get ICS. More and more new apps work better on ICS than GB. The S Note is also very useful for some users. Hi, I have upgraded My Note to ICS . But I could not find the S Beam which was the coolest apps in S3. Does Samsung Galaxy note has NFC so that S beam can work here? NFC is optional for Galaxy Note. So, most Notes do not have it. S Beam need NFC. And it works only on S3 currently. It also only pairs with S3. So, it is not a standard Android Beam. If you have wifi, you canuse Wifi Direct. It is faster than NFC. if i get an unlocked version of this phone can i update Gingerbread to ICS via wifi and will it be easy? I had several attempt to update my Note via wifi but most time it failed. But recently i succeed in updating it to ICS 4.0 but i noticed i have problem of i have minimal space in my internal memory. If i recall back, there are still plenty of space in my internal storage before. Is there any possibilities due to my previous attempt to update my Note to ICS causes my internal memory to be reduce rapidly? You can go to Settings–Storage. Then under Internal Storage, you can find there are at least two items: Apps and Available. If you have other items (under internal storage), e.g., Downloads, you can backup your phone first, then try to check the downloaded files. If you Apps+ Available is close to 1.97GB, you can move some some apps to SD card. Just go to Settings-Applications–Downloaded. You can check one by one, or get some Apps to do the job. You may also try to clear the app cache to release some space. thanks for the info man. It is well appreciated. i have another question to ask, since i update my note to ics when i connect via usb to my laptop i cant find the option to connect to usb storage. Any tips? thank you. Do you mean your PC do not have the option to eject the USB device? This is normal as I know. 1)Charging (via wall charger itself) becomes very slow. 4)Wifi is an issue from beginning. Weak signal as well as connection gets drop often. Sorry to know your problem. For the charging issue, nomally it should take around 3 hours from 5% to fully charged. if yours always takes more than 3.5 hours, you may try a new charger. Sometimes, the software need re-calibrate the discharging curve of the battery. In this case, the display of the battery percentage is not so accurate. For the ram,this is normal, as new versions generally need more ram (due to new features). The most part of the ram actually is used by the bloatware bundled by Samsung and uour local carrier. If you know what you are doing, you can disable some these apps. For the dialer or contacts, maybe it is slow when you open it first time. If it is always slow, probably something wrong with the software. I’m not sure about this. For the wifi issue, I never encountered with my note. It is seldom reported. Maybe it is related to country-specific wifi signal regulations. I have the same problem with the dialer but it takes me 10-15 seconds sometimes after I press dial. For the ram this is normal to use more ram with ICS. I also have a problem with the sound recorder. My phone record voice with lots of background noise after the update. I contact samsung and they reply ( ICS should not have any issue with the sound recorder quality or background but since your phone is still under warranty then you may bring it to the nearest store to check it out). I am not sure why some have ICS 4.0.4 mybbe it depend on the region. My phone is Galaxy Note GT 7000 middle east. 🙂 I am much happier with GB 2.3.6. My phone is fast again. Maybe the problem is region-specific. For me, it is slow to open the dialer first time (after the reboot, or after running some task managers). Later, it should be almost instant as it should be cached in the memory after the first use. Occasionally, some task managers try to “clean” everything and cleared the cache for the dialer. This makes it slow to open. why during i update os from 2.3.6 to 4.0.3 but it shown “No Update Available”? hi i’m from cambodia. i just buy Note so i want to update os from 2.3.6 to 4.0.3 but it still shown “No Update Available” how can i do?what i check before update?pls help me step by step. You may try Kies. It seems the ICS update for Galaxy Note in Cambodia is not available yet. You may have to wait one or two weeks. couldnt find my story in samsung apps. Says its not working in my country. (maldives). How to install it via kies.. It only works on ICS. I don’t think there are any restrictions on regions. You may try to search it on web or through Kies. hello there……..i dont find my story in ics.no apps in google play.how can find whats in premium suite?any guide to use s pen? how i find my s pen updated r nt? You need search it from Samsung Apps (an app installed in your Note by default). You can then search for My Story. Please follow the instructions to register. Only after the ICS update is released in Australia, your friend can perform the update through Kies, or OTA. Last time, I heard the ICS update for Note will be immediately after the S3 launch there. But it seems this is not true. I have no updated info. Maybe, just wait a few days. today i got ICS update,. but same theme and home button. it does not chnge the look of phone like advertisements..
the look is still almost identical, as the default UI is still TouchWiz. You may try different launcher (there are a lot in the play store) or customize TouchWiz. hi I am from Ireland, i have a friend who has a note, she got the update last thursday, i still haven’t. everytime I check it says “No Update Available” would you be able to tell me whats wrong? did you try the Kies? Hello! I was just wondering, after installing the ICS update, will my previously installed and purchased apps from Google Play be deleted? So does that mean I have to install them again or will it still be available after the update? Normally, during the updating, all apps willbe re-installed automatically. So, normally, all of your apps should be available after the ICS update. However, we are living in the reality, so, make your own backups (you can also backup to Google servers). All of my google play apps were lost with the update to ICS. When I access the website on my pc, I can login and see my apps. Am not able to do this from my phone. How do I get them back?? If you backed up your apps to Google servers, during the update, the apps (that are compatible with ICS) should be installed automatically. If you did not get them, you probably have to manually re-install them. Maybe, you can select “Äutomatic restore”, then do a factory data reset. Please backup your data before resetting your phone. I bought my galaxy in England from Clove and live in israel. The list of languages does not include Hebrew so I can’t translate Hebrew on Facebook. What to do? There are many such apps. I am not sure which works better (you may check the reviews). I had the same situation but with Arabic language. After ICS i can read Arabic easly and installed an Arabic Keyboard that worked fine with me. After upgrading my note to ICS 4.0.3, the phone behaves strangely with the samsung car-dock. When the phone is in the dock, i get a com.android.phone process error and i am not able to receive / call. Bluetooth also stops working. Any suggestions on how to get this fixed? Not sure, maybe other users can give an answer. As such issues are quite annoying, you may just visit local Samsung mobile service centre. Usually they can test it and find out the possible causes. if you are having the same problem please star the issue above by clicking on the star next to the issue number to show how many people are interested in a fix for this. After ICS update via Kies my note’s performance increased drastically. But in samsung’s Email app attachments are not opening at all. Each and everytime i have to go to Gmail app to see or download attachments. Why this is happening? Yes, it seems this is the issue with the stock email client/app in ICS. There are a few reports on this issue. You may try some other email apps in the market. Me too… Since the upgrade I cannot open email attachments anymore. It is same for my work address and also my googlemail address. How can I cure this? Gamil has no issues in opening/downloading attachment. For the native mail client, some users complained about this issue. I will try it next week and let you guys know the outcome. Please because it is a real problem… by the way also I cannot send emails with attachments. They just sit in the Outbox. I am not too concerned about my goofglemail address but I really need to be able to download and send attachments via my IMAP work email. Everything was fine with Gingerbread. The problem started with the ICS update. I have not done a hard factory reset, because setting everything up again would be extremely difficult. Is there any way we could just revert back to GB? Please Help!! I tested my email account with the native mail client using IMAP, and there are no issues to send and download attachments. So, I don’t think the attachment issue is universal for ICS on Galaxy Note. I also tested it with both WiFi and mobile data, no difference. For the settings I just chose automatic setup, and corrected the user name (as in my mail server, it is the full address as user name), and server name (I just used ip), and smtp port. I did not touch any other settings. So, this is almost default settings. I noticed, the email account was automatically added to Samsung’s Socialhub. Anyway, you may try a new email account. Hi your last post does not have the option to reply, so I am replying here. There are hundreds of complaints posted online about exactly the same problem so your simple dismissal of it is a little strange to say the least! I have since deleted the email account and set it up again… guess what? same problem. It is clear this did not exist before the ICS update. Android/Samsung should not have released this update it is clearly flawed. Now they have done it, they should not hide but do the right thing and offer a solution. I consider there is a legal issue here which needs to be explored! you may contact your vendor or local Samsung service center to ask for clarifications. as mentioned, i tried the mail client myself on upgraded Note. I did not encounter any issues in downloading or sending attachments. i know there are some complaints on this. that’s the reason why i tried it myself. anyway, as mentioned, you can simply call samsung service center and they should give you proper advise. and on pressing “Cancel”,the screen goes black and no buttons work at all. After the update, it is a good practice to re-start the phone. You may also try to remove the battery after the phone is shut down. Then place it back in about one min. Finally, turn on your Note. In some phones, include mine, all apps are started automatically after the ICS update. This makes your phone very sluggish, and drains battery quickly.. So, after the phone is re-started. You may check the app status one by one (don’t trust any task manager!) by going to Settings–Applications. If the Force stop option is available, it means the app was started (and very likely cached), so you can turn off all non-essential apps. You can always start any app manually when you need it. For my Galaxy Note, after using the force stop, the phone is very responsive and battery life comes back to normal. Please let us know whether it works for you or not. I thought the earphone might have got corrupted,so I plugged in the Senheiser,but the same thing happened. Whenever I take the phone out of full charge,the audio comes for 2mins,then goes away on one side. I cant understand if this problem has arrived from ics or not,since my phone is just 17days old,and no noticeable physical damage has ever occured. I haven’t encountered this issue. You may try to shutdown your Note, remove the battery, then put the battery back. Now try to turn on Note to see whether the problem is still there. You may also try the bundled music player. If the problem can be re-produced, you’s better go to the service center, and they will fix it or replace one for you, I guess. Rooting your Note will void the warranty in most countries. So, you need unroot it before heading to the service center (if you rooted it already). after the 1st update of ics of around 360mb my phone got very slow. now i recived another upadate of 110mb after doing which my phone has crashed. its not getting start. only first page of startup is displaying. i hav turned the phone off. taken out the batery and again put it in the phone to start.. but the same problem continues..
Did you try a factory reset after the update? (settings–back up and reset). Sometimes, the slowness and crash can be caused by some settings or some apps or some widgets. Anyway, if the problem persists, you’d better visit local Samsung service center for a thorough check or replacement. After 4.0.4 update i have atarted facing issue with my Video, they are running with hickups and i am not able to make videos either . No, there are no known issue on playing video or recording videos after the ICS 4.0.4 update. You may give more details of the problem you countered so that other users may figure it out. What are the UI changes done in ICS for Galaxy Note? I do not see much changes. I heard a lot about apps available in Lock screen itself. Are they available? The UI is still Samsung’s TOuchViz. The version is 5.0 now. It looks very similar to that with GB. But there are some subtle changes. I will write a post detailing the changes of the UI. One noticeable, and cool thing is face unlock. This is new in Android 4.0. You can enable it through Settings–Security. Also, you can display clock and weather on the lock screen. You can access the status bar directly from the locked screen (if your security setting is swipe to unlock).